We really are working hard! Linda and I have been hard at work since last Thursday. Quilt Market is practically here and we're not ready yet. Oh my! And, in even more exciting news, we've gotten the sample yardage from our 2nd collection of fabric! We can't really say (or show) more but you are going to love this fabric too! Good luck with all your preparations. I’ve just received my Pack O’ Dots Two and I LOVE the materials. They’re just perfect for my Candied Hexagon quilt I’m working on, really given me a boost to get stuck into it again. Hey – that’s my iron, lol! I have the same one! I cannot wait to see what you come up with! Thats a new edition of the classic Black and Decker iron. Linda has one and loves it. Mine spits water and Im about ready to throw it across the room. Im going iron-hunting in Houston. On the subject of irons – I broke down and purchased Reliable’s Digital Velocity V100 Iron. I would not trade this iron for any other iron on the market. A week after using this iron I donated all 6 quality, name brand, expensive, frustrating, spitting, not enough heat, too little steam irons to charity. Hugs to you and Linda and a very successful and stress-free Quilt Market to you both. Thank, Dena, for the iron suggestion! I am going to look at it and at the Laura Star irons at Market. 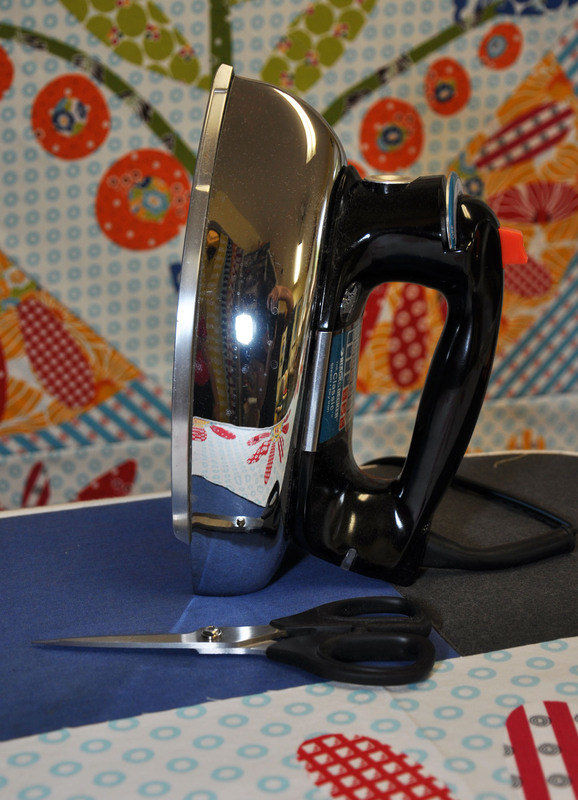 Your iron is a lot more economical and if it works as well it could make me very happy :-).